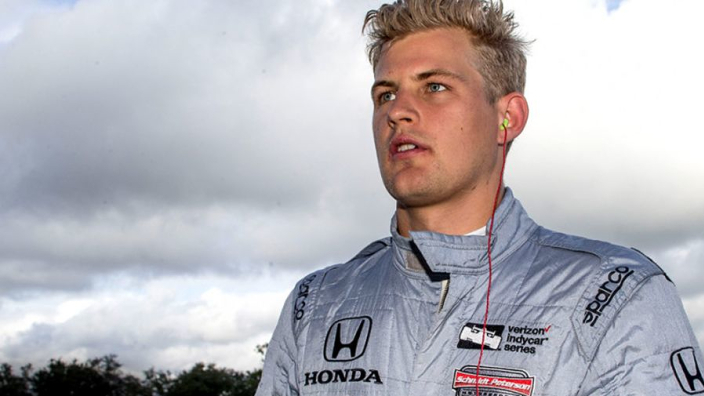 Marcus Ericsson says that Formula 1 is "artificial" in comparison to IndyCar, having completed his first test in the American-based series ahead of a full-time switch in 2019. Ericsson was released by Sauber after five seasons on the team and will race for Schmidt Peterson Motorsport next year. Ericsson enjoyed his equal-best F1 season in terms of points-scoring in 2018, but he was vastly outperformed by rookie Charles Leclerc, who will move to Ferrari next year. Sauber's Ferrari connection will see Antonio Giovinazzi step up, while the signing of Kimi Raikkonen from the Scuderia left Ericsson searching for an alternative race seat in 2019. He remains contracted to Sauber as third driver, but he seems happy with his switch to IndyCar after getting his hands on the machinery for the first time at Sebring. "I'd never seen these cars live before," Ericsson said. "It was cool to see the other guys go out. The car looks really cool. I've watched a lot of clips on the internet to prepare myself for this. "This sort of gets me back to why I fell in love with racing. "F1 is always going to be F1, you know? But it's sort of a bit artificial in some ways. You always go to these perfect places, and that's not racing, I would say. This takes me back to the passion of racing. "As a driver, you have to work this car a lot more. "F1 always starts from perfection, whereas here you have to deal with the car you have and then sort of perfect it. It's a lot more work from the driver. That's the biggest difference."